The Poets' Co-op Spring 2007 Open Reading Series will be held on Thursday, March 1st, April 5th & May 3rd at the Loveland Museum on the corner of Fifth & Lincoln. Readings will be downstairs at the Foote Gallery/Auditorium from 7:00 - 9:00 p.m. Complimentary snacks will be graciously provided by HENRY'S PUB (234 E. 4th St.). Readers & listeners embrace all styles of original poetry and range in experience from first time readers to published and polished “professionals.” Poets can sign up to read the night of the reading or ahead of time by email. Our Fall Series Featured Readers represent a diverse mix of some of Colorado’s finest poets. 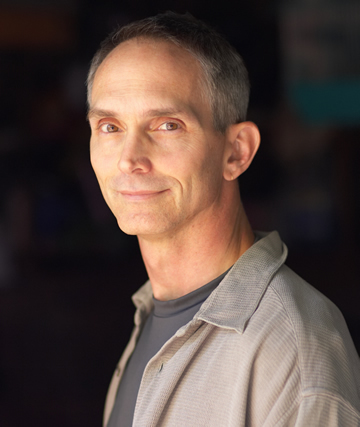 Our Featured Reader for Thursday, MARCH 1st is Robert King. Born in Denver , Colorado , with Ft. Collins his hometown, Robert King attended Colorado State University (M. A. American Literature, 1961) and the University of Iowa (Ph. D. English/Creative Writing, 1965). He retired from the University of North Dakota as Professor Emeritus in 1995. Currently he lives in Greeley and teaches part-time at the University of Northern Colorado . He has published five chapbooks—the most recent, What It Was Like from Small Poetry Press in 2003—and his work has appeared in anthologies as well as magazines including Ascent, Atlanta Review, Blue Unicorn, Carolina Quarterly, Great River Review, The Malahat Review, Massachusetts Review, The Missouri Review, Nebraska Review, North Dakota Quarterly, Northeast, Poetry, Rattle, Red Rock Review, and South Dakota Review. Our Featured Reader for Thursday, April 5th is Mark Irwin. Mark Irwin was born in Faribault , Minnesota in 1953, and has lived throughout the United States and abroad in France and Italy . He has taught at several universities and is the author of two previous poetry collections: The Halo of Desire and Against the Meanwhile (3 Elegies), and he has also translated two volumes of poetry. His awards include The Nation/Discovery Award, a Pushcart Prize, National Endowment for the Arts and Ohio Arts Council Fellowships, and a Fulbright Fellowship to Romania . He lives with his family in Denver , Colorado . Our Featured Reader for Thursday, May 3rd is Jeffrey Franklin. Jeffrey Franklin grew up in Chattanooga, Tennessee, but now calls Colorado home. He holds an MFA and PhD from the University of Florida. Jeffrey Franklin's collection of poetry, For the Lost Boys, was published by Ghost Road Press in October 2006. His poems have appeared in such journals as Arts & Letters, The Hudson Review, New England Review, Shenandoah, Southern Poetry Review, and ThirdCoast, as well as in Best American Poetry (2002). He teaches Victorian literature and creative writing at the University of Colorado at Denver, where he lives with his wife and their two teenage children. 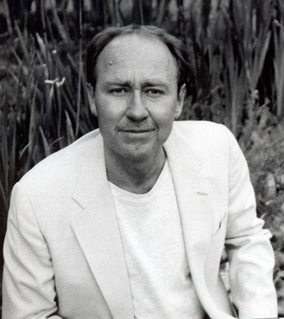 A manuscript of his poems was co-recipient of the 2001 Robert H. Winner Memorial Award from The Poetry Society of America.